Cape Town – Embattled national carrier South African Airways (SAA) needs to honour another R5bn debt obligation – this time to local lenders – by the end of October 2017. In a report to Parliament, Finance Minister Malusi Gigaba said local lenders may be willing to extend the deadline beyond the end of October to end-March 2019 on condition that he announces an equity injection into SAA when he tables the medium term budget policy statement (MTBPS) on October 25. However, the equity injection needs to be approved by Parliament in terms of the Public Finance Management Act (PFMA) before it can take effect, which means the legislator will have six days to do so before the end of October. Alf Lees, Democratic Alliance (DA) spokesperson on SAA, said it is clear that Gigaba “has dug himself into a hole with SAA”. “It is not practically and legally possible for parliament to approve an appropriation bill by the 31st of October and so the conclusion must be that Malusi Gigaba has informed the banks and other domestic lenders that parliament will indeed approve the equity injection at some date after the end of October. Telkom announced on Thursday that it had removed its cautionary notice regarding government's plan to sell its 39% stake in the firm (valued at about R13bn). National Treasury said this was because the option to sell this stake to fund the bailout was no longer an option. However, on Thursday Treasury spokesperson Mayihlome Tshwete told Business Day: "There is a plan and it is going to be announced fully in the medium-term budget statement. The plan is far advanced and has been discussed with the president and a presidential committee of a small group of ministers." 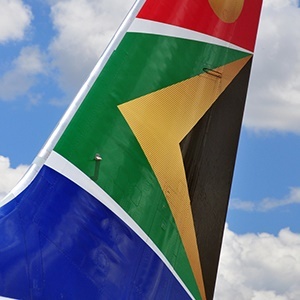 Fin24 earlier reported that Parliament is in the process of getting a legal opinion about the legality of National Treasury’s decision at end-September to invoke section 16 of the PFMA to give another R3bn lifeline to SAA. Lees requested in a letter that the standing committee on finance get legal advice on whether Gigaba’s decision was legitimate or not. He argued that Gigaba and the executive should have foreseen as early as August 24 that SAA would have to get a cash payment and he could have tabled a special Appropriations Bill and for Parliament to consider such a Bill. In the report to Parliament, Gigaba said he was informing Parliament of the decision of the use of funds to defray expenditure of an exceptional nature currently not provided for. This is done in terms of section 16(4)(a) of the PFMA. Gigaba explains that delaying these funds would have seriously prejudiced the public interest had it been postponed to a future parliamentary appropriation of funds. “The (R3bn) funding relates to SAA’s need to settle its debt obligation of R1.8bn with Citibank and provide for immediate working capital requirements of R1.2bn,” he said. Gigaba points out that his predecessor, former finance minister Pravin Gordhan, had noted in his 2017 budget speech in February that SAA and the Post Office would need to be recapitalised to be on a “sound footing”. He further said it had been anticipated that SAA’s shortfalls could be dealt with in the MTBPS, but that SAA’s creditors could not be persuaded to reschedule their calls on guaranteed debt. “The downgrade by certain ratings agencies and the downturn in the economy and the rapid deterioration of SAA’s cash flow necessitates more urgent action,” Gigaba said, pointing out that action was first necessitated when Standard Chartered Bank demanded that R2.207bn be settled on 30 June 2017. Citibank required a full settlement of R1.8bn by September 29. However, Citibank and SAA agreed on a repayment plan: R700m was due on September 29, a further R300m is due on November 30 and the remaining amount will be payable in five equal instalments commencing on March 23 2018 and ending on March 22 2019. Gigaba said initially SAA’s domestic lenders also wanted their debt to SAA honoured by the end of September. But after protracted negotiations they agreed to extend the maturity by one month – on October 31 2017. The extension was subject to National Treasury injecting equity of R3bn into SAA by no later than September 29. “The agreement with the domestic lenders also provides for the option of an additional extension beyond the end of October to end-March 2019, subject to the required equity injection into SAA tabled during the MTBPS and approved by Parliament,” Gigaba said. SAA’s total guarantees currently amounts to R19.114bn of which R16.366bn has been used.